Hot on the heels of the infamous Rodney King riots in 1992, a new subgenre of film emerged in the 1990s. These films came to be known as "hood films", shining a spotlight on the side effects of gentrification and the endless cycle of drugs, violence and poverty endemic to black communities like South Central Los Angeles. The most prominent of these films were John Singleton's "Boyz N the Hood" and the Hughes Brothers' "Menace II Society", which received critical acclaim and mainstream popularity. Now decades later, Keith Miller continues the conversation with his film "Five Star", which looks at gang culture from an east coast perspective. 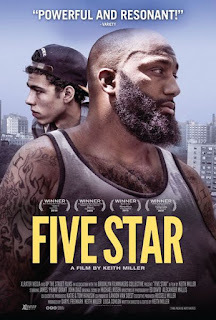 "Five Star" takes the idea of film as conversation quite literally, as its opening scene shows one of the film's two leads - Primo (James "Primo" Grant"), a real life member of the Bloods gang in Brooklyn - engaged in dialogue with an undisclosed passenger in his car. In the scene, he describes how his greatest regret is missing the birth of his son, due to his incarceration at the time. The memory clearly had a profound effect on him, and he vows to never neglect his children again. Shortly thereafter, we meet the passenger from the opening, a young man named John (John Diaz). As the son of another Bloods member, he is eager to carry on his late father's legacy. It turns out that this father was also Primo's mentor, thus linking the two men, who have formed a new mentor/mentee relationship. 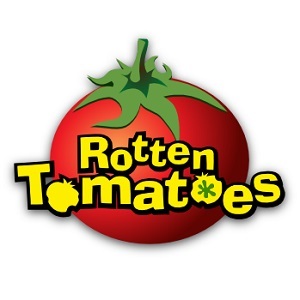 As Primo shows John the ropes, Miller delivers a unique "slice of life" narrative that eschews the typical violence-centric tropes of the 'hood film". The psychological clarity and optimism in the film's opening perfectly captures the essence of "Five Star". Indeed, what's most striking about the film is in fact, its domesticity. Much of it takes place either in private homes or communal public spaces like parks, beaches and outdoor basketball courts, while the characters themselves are defined in relation to their families (inclusive of the gang itself). As an established gang leader on his way out of the game, Primo is therefore afforded rare complexity for such a character. He's essentially a drug kingpin, but he's hardly a Don Corleone. The film doesn't soften his edges (he's still an intimidating figure) but he's not propped up on a metaphorical throne. Rather, he's a family man trying to makes ends meet with a side job as a bouncer. On the other hand, John harbors delusional "get rich quick" perceptions of gang life, much to the chagrin of Primo and his knowing mother. But even John's motivations are two-fold, as he also hopes to use the experience to finally uncover the circumstances behind his father's sudden death, which was attributed to a stray bullet. This underlying throughline in the plot provides most of the film's most tense moments, especially in its climatic confrontation. Overall though, the plot is very low-key, highlighting the everyday banality of these characters' lives. Cinema has often painted a picture of ghetto living as a series of tumultuous events, but Keith Miller's vision is one of ordinary working class routine. Absent of drive-by shooting and harrowing tragedy, these people could be you or me, allowing us to relate easily with his characters. His camera gives a feeling of intimacy, tracking the characters as they walk through streets filled with happy children and busy adults. Furthermore, his leads - both making their film debuts - greatly contribute to the film's realist quality, as they are completely comfortable and naturalistic in front of the camera. If there's one gripe to be had with "Five Star" is that its simplicity sometimes veers into dull territory. As the film gets caught up in its observational style, it sometimes seems to miss opportunities for further character development and narrative progression. In the grand scheme of things though, you can't fault Miller's approach, which feels so fresh and genuine. The film trades the tragic fatalism of similarly themed films for an authentic "slice of life" in every sense of the term. It may not portray an exciting lifestyle, but Miller's strong sense of humanity is altogether endearing. As the saying goes, he keeps it real. "Five Star" is now available on DVD. I've never even heard of this. I'm intrigued.